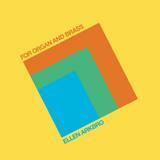 'For organ and brass' is comprised of two works by the Stockholm-based composer Ellen Arkbro. Both works focus on tuning, intonation and harmonic modulation. 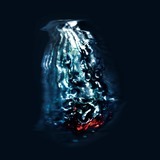 In previous projects, Arkbro composed for early music ensembles, wrote a series of durational pieces utilising synthetic tones and processed guitars, and, most recently, presented a work lasting 26 days at the Stockholm Concert Hall. 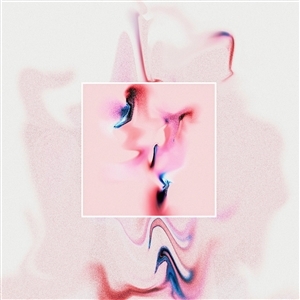 for organ and brass looks back to Arkbros studies in Just Intonation with La Monte Young, Marian Zazeela, and their disciple Jung Hee Choi in New York, as well as with kindred spirit Marc Sabat in Berlin. 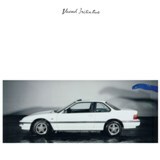 Blessed Initiative is a project by Yair Elazar Glotman, which suggests a dissonant, coexistent state of extreme highs and lows. The album attempts to articulate a mental state of simultaneity, in which equilibrium is fleeting, fragile, and its scarcity is embraced. Opposite states coincide, contrast and reflect, creating moments of uncertainty and insecurity. Absurdity and at times even bliss are possible results, in the attempt to channel anxiety into creative forces rather than debilitating ones. In an environment where personas are the sums of the images they project, sounds are also no longer evidence of invention but of ever-changing combination, curation, and editing. The final persona is a sum of the chosen and the deleted, as well as what may be projected from outside, creating a confusing and conflicted self. The sounds collected here are attempts to compose on these uncertain grounds, and to reflect the anxiety released in all these sources meeting and interaction. As a singular project, Blessed Initiative stops to comment on the conditions that inform Glotmans composition before and after it, and to acknowledge it as a non-linear, ongoing process.The focus on process and uncertainty is apparent in the albums phrasing, re-articulation and cycles of repetition and deviation. The pieces were composed from sounds generated on the KYMA system, personal foley recordings as well as tape manipulations techniques. Minor sounds on major scales and micro-tonal tuning suggest an ambiguous harmonic sphere. These were then integrated within idiosyncratic rhythmic structures, at times integrating real spaces and resonating bodies as reverb and augmented echo chambers. Concrete, almost-recognizable organic sounds contrast with these abstract spaces and connect them to tactile experiences. These textures and structures are a palette that reforms and deforms as it cycles throughout the album. The photographic series "Relax (blue)", 2004, by the artist Josephine Pryde was chosen for the albums cover as a materialization of tension. The two images represent a closed cycle of energy and unfulfilled release. Yair Elazar Glotman is a classically trained musician and sound artist based in Berlin whose previous works on Subtext include the LP 'tudes' and a collaboration with James Ginzburg titled Nimbes. Issued now for the first time on vinyl is the complete studio album "Demiurge" produced by EMPTYSET, the collaborative art/electronics project founded by James Ginzburg & Paul Purgas. The release demonstrates this moment in the development of the project's production processes, examining non-grid based structures and the integration of sculptural feedback into the analogue signal chain. The collective body of work exhibits the precursor to their current studio work with raster-noton and highlights the project's emergence and transition into a distinct sonic grammar, reflecting upon the reappropriation of analogue media and the innate physical properties of sound. The first self titled album from emptyset is reissued on vinyl. 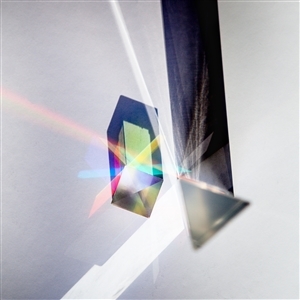 Released in 2009 the material formed the initial departure within Emptyset's ongoing exploration of time, structure and analogue technology.The album highlights the projects development and the foundation of their studio based production process, forming the first part of a tryptic spanning across Demiurge, released in 2010 with Subtext and the 2013 raster-noton album Recur.The eponymous debut creates the first point within this narrative, initiating a dialogue between full frequency audio, noise and the emergent properties of sound, and the starting point for their contained sonic approach. TRACKLISTING: 01. Aleph 02. Gate 1 03. Gate 2 04. Beyond 05. Gate 3 DISC #2: 01. Completely Gone 02. Beyond 2 03. Gate 4 04. Awake 05. Over? * Emptyset present a live recording of their performance project Signal, which explores the effects of atmospheric propagation and transmitted sound. * Developed between Bristol and Berlin over the course of 2014, the performance took place in Berlin on February 1st 2015. The project worked with long distance high frequency radio transmission in order to bounce audio composed of sine wave structures across the atmosphere, in a process that ornamented and shaped the signal in accordance with physical fluctuations in the ionosphere, atmospheric noise and solar radiation patterns. * The signal path for the performance transmitted the audio across a real-time 2000km circuit, routed from Berlin to Nauen 40k west of the city, where it was transmitted from the oldest operational transmission station in the world, received by the 1950's French radio base metteur d'Issoudun and from there retransmitted and received at the performance space in Berlin. The multiple atmospheric bounces imprinted into the audio introduced complex transformations of sound. Ahead of his representing Turkey at this years Venice Biennale, Subtext presents Istanbul based Cevdet Ereks first full length LP: Davul. 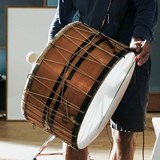 The title refers to the instrument performed by Erek, a large drum with many names, common from Eastern Europe to the Middle East, known variably as a daouli (Greek), tapan (Macedonian), dahol (Kurdish), or tabl (Arabic) to cite a few.Erek plays the drum with his own unusual method, utilising a large soft mallet alongside various smaller implements to beat and distort the skin of the drum, tuned lower than normal, taking advantage of being able to walk around studio or installation spaces with the instrument. Erek acquired the drum from a Roma musician, proceeding to play it in private for years where he developed this new textural approach, integrating the instrument into his A Room of Rhythms installation piece at Istanbul Biennial, 2015. New work by the Istanbul based artist and musician Cevdet Erek in extracts from his soundtrack to the Turkish crime thriller Frenzy, winner of the Special Jury Prize at the 2015 Venice Film Festival.These two compositions shed light on Erek's diverse sonic background, both as a member of the seminal band Nekropsi and as a celebrated conceptual artist presenting sound and installation works internationally such as his Room of Rhythms, which has been shown at Documenta, as well as the Istanbul and Sydney biennials. 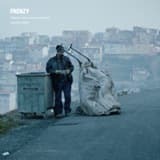 The first track presents a tense and driving percussive wall of sound that mirrors Frenzy's dramatic storyline set against a backdrop of political violence in Istanbul. 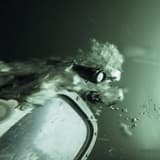 Accompanying this is a textural recording exploring aspects of warped time and shifting geometry that references the films disturbing subtext of social paranoia. Natural patterns of organic life make the most efficient use of space and surface area and in permaculture design one observes natural patterns in a landscape and plans details accordingly. Taking a self-occurring pattern like the veins of a leaf, contour lines, or the spirals of water and letting that guide interactions with the surface of the earth. The ethos is to work with natural flow and processes rather than to impose. Mirroring this idea From Patterns to Details draws from the sense of a deeper underlying order. It sees continuity between environment and individual, continuity between external bodies and the internal emotional landscapes that music can communicate beyond the affordances of language. The album embraces technology as something that is not in conflict with the organic processes of nature. Technology is treated as life in a different state. Human beings are gardens in a different state; all temporary forms of the same thing. From Patterns to Details imagines states of alignment with all, and harmonious design, a complete integration between personal and external systems whether organic or technological. Fis composes physical, spirited, exploratory electronic music inspired in part by his work as a permaculture designer. Initially developing his craft on the sound systems of his birth country New Zealand, he went on to a string of critically acclaimed releases on Tri Angle Records and Loopy in recent years. the first meeting between two distinct voices from New Zealand. In a unique collaboration, Maori sound artist Rob Thorne (Ngati Tumutumu) and Berlin-based electronic composer Fis dismantle boundaries in space, time, and genre, juxtaposing Thornes living, breathing practice with the weight of modern sound systems. The soundtrack, realised within the vast interior of Berlin's Kraftwerk power station, employs the cavernous reverb of the space in response to the video's encompassing narrative of scale, time and entropy. Centred around the use of contrabass and elemental percussion, the stark rendering of instrumental sound crafts an evocative portrait of this former industrial site, mapping an overarching texture onto the underlying acoustic compositions. The project draws parallels to Ginzburg's sonic spatial explorations within emptyset alongside Glotman's own forensic examinations of rhythm and tonality initiated through his work as Ketev, bringing the two into a formal dialogue through techniques of acoustic production.The release is accompanied by a remix from Eric Holm, reforming the material through his dense custom created signal chains, and a remix from Yair Elazar Glotman who extracts the essence of the original recording and sculpts it into an adeptly controlled vista of sound. Under his guises Blessed Initiative and Ketev, as well as his own name, composer and sound artist Yair Elazar Glotman has explored extended techniques and processes to forge new sonic textures and musical forms. 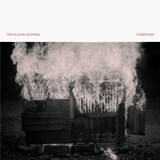 Compound picks up where the previous solo work under Glotmans own name - 2015s Etudes - left off. The acoustic sound palette has now expanded from solo contrabass into a trio including pianist Rieko Okuda and percussionist Marcello Silvio Busato. Classically trained composer and contrabass player expands on his work with James Ginzburg on "Nimbes" and his analog tape work as KETEV (Opal Tapes, Where to Now?) with a record exploring the hidden resonances of the contrabass.Yair Elazar Glotmans tudes disrupts the subconscious processes and muscle memory learned as a classical contrabass player to interrogate his instrument, drawing out hidden resonances, physical vibrations, and explorations of uncharted territory of the instruments acoustic dynamic range. Within the ten pieces presented here, each a solo performance, he looks to develop a black box scenario for composition. Creating a separation between action and outcome, he escapes learned restraint, abandons former training, and develops a method by which concentration and control are translated into a visceral interaction with the bass, uncovering hidden sounds and building an expansive and dynamic sonic palette for the contrabass, beyond the confines of classical virtuosity. Subtext presents the debut album from UK based Sri Lankan born artist Paul Jebanasam. Rites brings together five settings of stark sonic poetry whose underlying logic bridges the worlds of contemporary classical, metal, sacred music and sound design.The pieces explore the central themes of grace and savagery, contrasting historical musical languages with the emergence of visceral sonics and immersive tonality, overlaying the past on to the present and considering the possibilities of sound as an eternal, universal medium embedded within the order of civilisation. 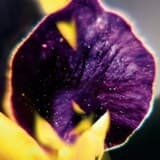 Rites takes its central inspiration from Jebanasam's exploration of liturgical music whilst integrating aspects of his seminal production work for the Bristol based Tectonic label and his defining role in the re-emergence of Subtext in 2011. In Ego De Espinhos, Penas turns away from his own technical background, and towards a journey of forward experimentation. This follows his education in Music Production and Technologies at Portos School of Music and Performing Arts. For the first time, he finds the freedom to articulate himself sincerely, unearthing beauty and acceptance amidst wreckage and devastation. Two years after his landmark debut Aftertime, former Vex'd member Roly Porter presents his second full length LP, Life Cycle Of A Massive Star. Fall Back arrives as the second release in the Subtext Live series, presenting a collaborative performance by Roly Porter and Cynthia Millar recorded in the Britten Studio at Snape Maltings, named after the Aldeburgh Festivals founder Benjamin Britten. The new work commissioned by Aldeburgh Musics Faster than Sound continues the exploratory journey set out in Porter's landmark Aftertime album, unravelling the strands of affinity and contrast between contemporary classical, industrial noise and ritual electronics. Following on from her work on Aftertime, multi-instrumentalist Cynthia Millar performs the Dobro and Ondes Martenot, a pioneering early electrical instrument from the 1920's, with her haunting arrangements based on traditional Scottish folk song Henry Martin forging an elegiac communion with Porter's dense textures, pulsing bass tones and dynamic atmospherics. The recording made within this vast concert hall breathes a unique residual intensity into the material, capturing the performative tension and acoustic beauty of the space, whilst evoking the sonic impact and transient delicacy of the music. The commission expands on Porter's investigations into the relationship between man, technology and nature with the piece crystallising this vision, and in the process reverently mirroring the deeply human themes present in the songs text and the haunted apparitions of visual artist, Rod Maclachlan's projections which accompanied the performance.